The 2nd cycle of Check-In brings you through different dimensions of time. Rewards will be given to those who embark on a full journey to the past, present and future with us. 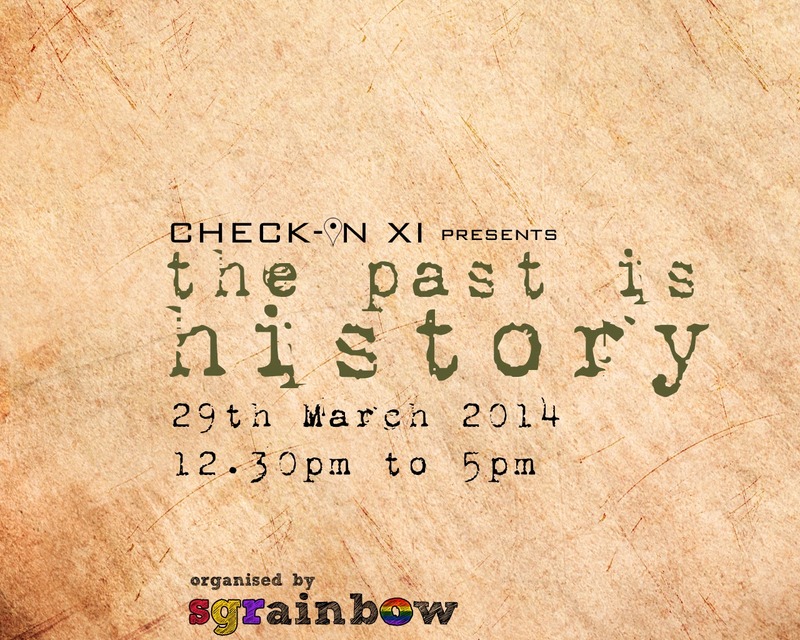 We begin by stepping into the time machine and travelling back to the past with Check-In XI. Learn all about the GLBT history of Singapore, something that is not covered in your school textbooks. What was it like back then? Where were the clubs (or were there even any?) and places to hangout? How do people meet up when there were no mobile phones and social apps? Join us as we Check-In back to the past. The time machine fee is free but we would like you to keep some present transport money - the one you call EZ-Link Card - intact. This programme is open to all gay and bisexual males aged 18 to 25 years old only, as of present time.